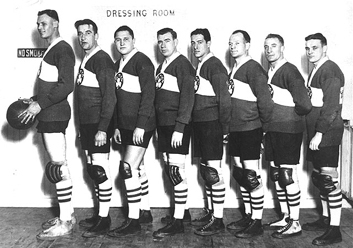 The Original Celtics in their favourite team pose. Over the past forty years, sports reporters have been kept busy with historical pro basketball players in women’s leagues as well. Rule changes in the 1960′s brought the sport in sync with men’s competitions. Dribbling became fully legal in 1966, and then in 1969 the five-player full-court format was introduced, a format that would become official in 1971. The Basketball Hall of Fame began to recognize the valuable contributions of women’s basketball players in 1985, conducting woman players, coaches and contributors. Some of the first players to be honoured with Hall of Fame recognition were Carol Blazejowski, Anne Donovan, Nancy Lieberman-Cline, Ann Meyers and Cheryl Miller.